Get dinner “done” for the month all in one day. 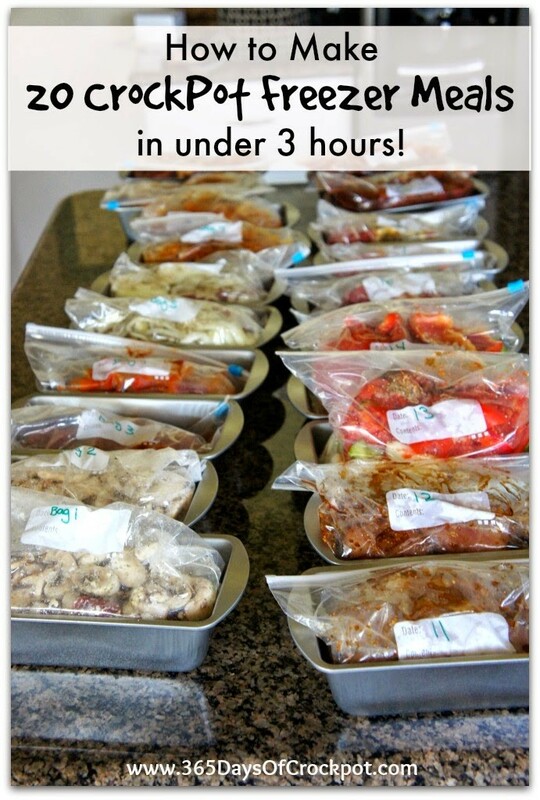 20 crockpot freezer meals (enough for every weekday of an entire month) all made in 2 1/2 hours!! These meals will simplify your life and help you get dinner on the table no matter how busy you are. 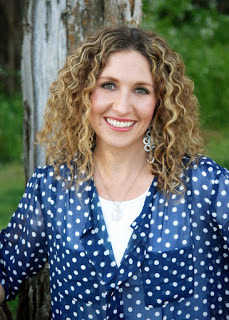 Hi, I’m Karen and I am the author of the blog, 365 Days of Slow Cooking and 2 cookbooks, 365 Days of Slow Cooking and Slow Cooking–Fast! I use my slow cooker a LOT. If I’m cooking, it’s mostly likely in that beloved appliance. I love cooking in my slow cooker. It can make life a lot less hectic. One of my favorite things about the slow cooker is that dinner is prepared early in the day and it frees up my mind. I don’t have to think, “What are we going to have for dinner tonight” all day long. The worst part of making dinner is figuring out what to make, right?! If someone would just tell me what to make or what they wanted for dinner I would be glad to make it. So when I have a plan and follow through, it makes my day happier. What is even better than a crockpot meal is a freezer crockpot meal. All the thinking and prepping is already done. 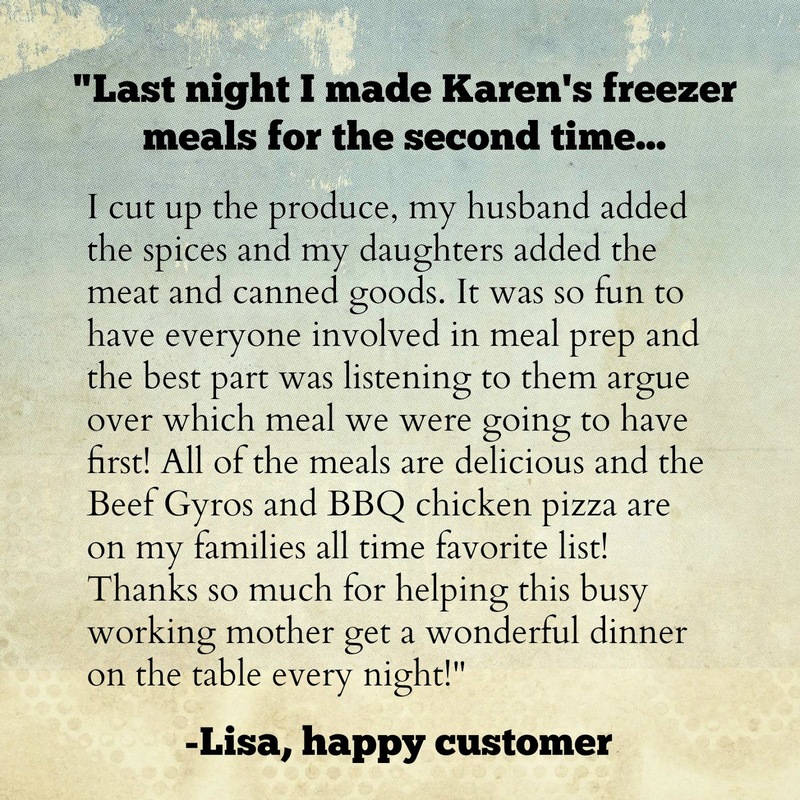 I love to go to my freezer, pick out a meal, plop it in my slow cooker and turn it on. This routine is especially appreciated on busy mornings or for busy working professionals that won’t get home until 6 pm but still want a home cooked meal. I know there must be others like me that would love to have dinners for every weekday of an entire month prepped at one time. 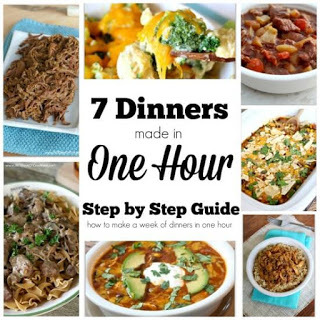 I was able to do the grocery shopping for 20 meals in about 1 ½ hours (I had to go to 2 stores) and then prep the freezer meals in about 2 ½ hours. That’s one Saturday afternoon! And let me tell you that it has been totally worth it. 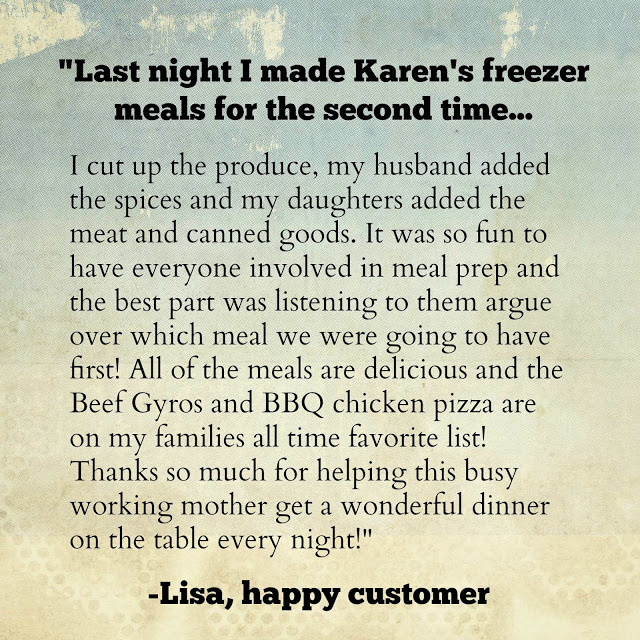 I have LOVED having these freezer meals on hand. I love knowing what’s for dinner at 8 am. I love not having any mess to clean up in the morning (throwing away a plastic freezer bag is hardly a mess). I love not heating up my kitchen in the summer. I love having a home-cooked dinner made for my family with MINIMAL effort. Overall, I just love it! meals that I made and I hope that your family will too! months for best results. If you know your family won’t eat one of these meals then you can simply eliminate that particular recipe from the instructions and grocery list (of make it for a neighbor who is sick or just had a baby). You’ll give each plastic zipper bag a number (with a sharpie) and then at the end you’ll have these handy dandy labels to put with each bag telling you EXACTLY what you need for the day of serving and cooking instructions. It really is so simple (perfect for high schoolers or even junior high kids to get dinner on the table). 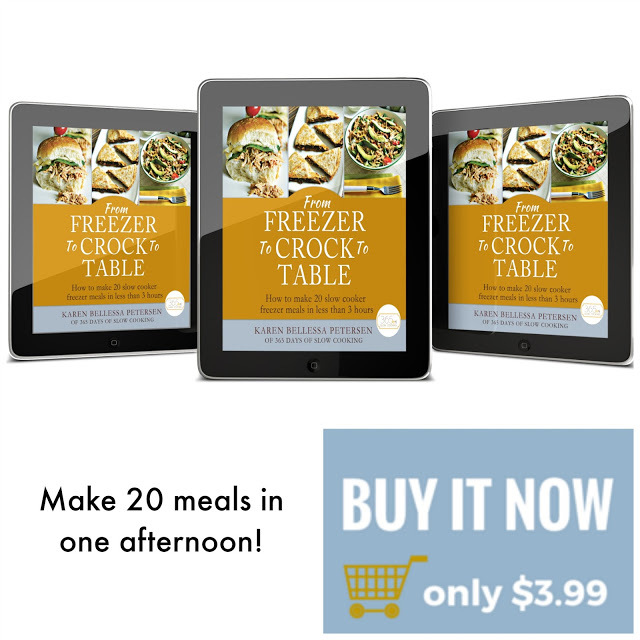 e-book “From Freezer to Crock to Table” for only $3.99! If you have trouble downloading the book just email me and I will get back to you as soon as possible :)And just so you know…now available is my NEWEST e-book–7 crockpot freezer meals in 55 minutes! Hi I purchased your download yesterday and when I tried to download from the link it failed. I was wondering if you could send it to me? I purchased the Freezer to Crock to Table ebook a couple of weeks ago. Last Saturday I put all the meals together. My husband stepped in at the end to help and I was grateful since this was my first time ever making freezer meals. The step by step method was great. I do have one suggestion. By the time I got to the spices I was tired, my back hurt from standing and I didn’t think I’d ever get through all of them. Next time I will take 20 cups (solo cups perhaps) and label them #1-20. I will put the spices/dry ingredients in the cups before I start anything else. I might even do it the night before. So far we’ve had the Asian chicken & Sloppy Jo (we made sandwiches). Tonight I’m making the quesadillas with the Cafe Rio chicken. The Asian chicken got a “meh” from the boys but the Sloppy Jo’s were a hit. Love this e-book and will definitely buy another of yours if it’s like this. Love the idea for portioning out the spices! Hi Karen. 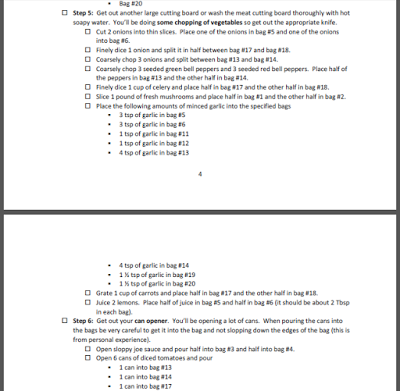 Just ordered this e-book and although I’ve yet to put it in motion I am impressed with how you laid everything out. I especially love how you did the assembly. If I have garlic in my hand, I’m putting it in all the bags that call for it and then I’m moving on to the next ingredient. Our 15 year old grandson recently moved in with us. He has the appetite of a typical teen but the palette of a smaller child. I’m mostly struggling to get him to eat veggies so I’ve been trying to find ways to incorporate them without him knowing he’s even eating them. Any suggestions/recipes you have I would be thrilled to have you share. Thanks for a great book and for sharing your knowledge. no need to blanch. And it should be fine, no risk. I've freezer cooked on a small scale for years but never had I done something like this. I now regret all the wasted hours in my kitchen! 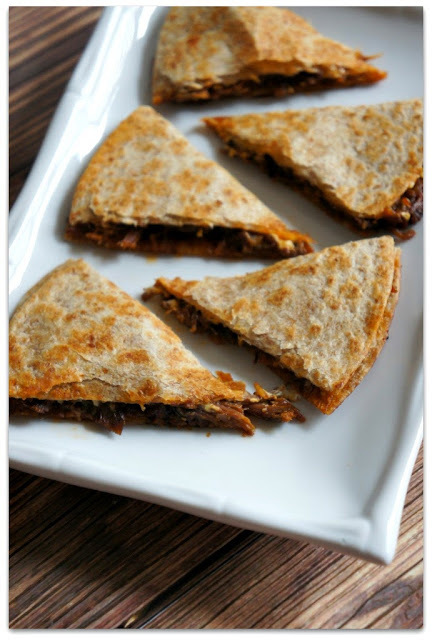 We have loved every recipe & this has revolutionized my weekends! I no longer spend hours prepping meals for the week all weekend! 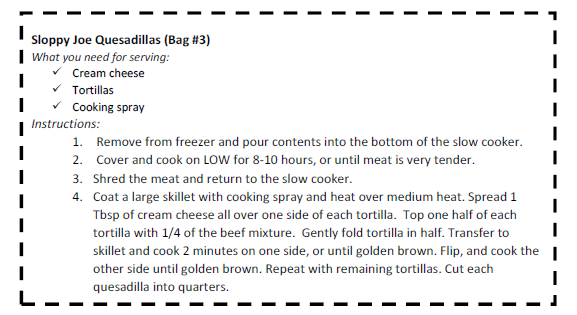 I pull out a few freezer meals, pop them in the crockpot & enjoy delicious tasting food all week long. Thank you so much! Hi, I need an information. All the Italian blog and also my slow cooker guide book tell to un-freeze all the ingredients before cook. Now I read here (and in other pinterest pages) that I can freeze meal and cook still frozen. Where's the true? Hi Kim. This is a good question. So the "correct" answer is that you are supposed to thaw meat before cooking it because it can cause food poisoning if it sits in the "danger zone" for too long. However, having said that I don't personally thaw my freezer meals. I am willing to take the risk. I haven't had any problems. But for total safety I would thaw them in the fridge the night before. I sent the payment via paypal but it can't open the page. 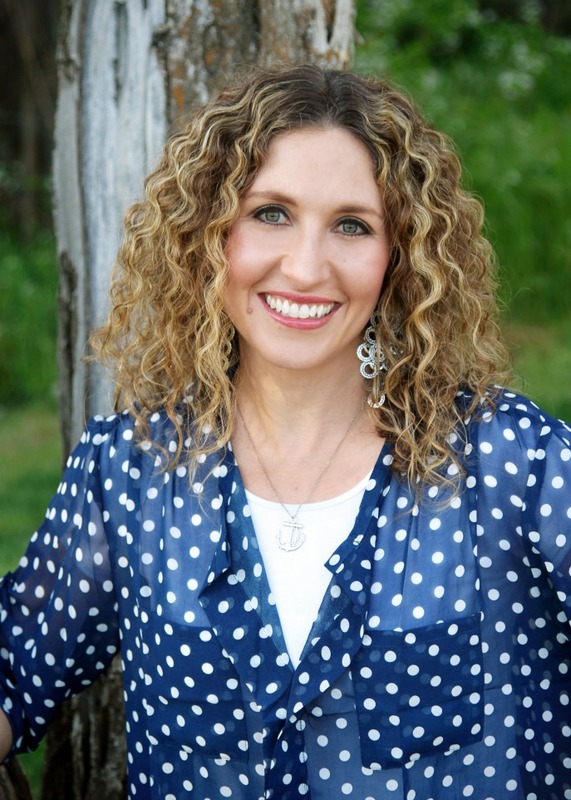 Do you email the ebook, or how does this work? Thanks! Hi Melody, yes it should have been sent to your PayPal email address. Were you able to get it yet?? Hi Karen! First and foremost, THANK YOU for putting this together and sharing it! It's by far the most user-friendly book I've ever seen. The recipes are easy and delicious too! This is my first real attempt at advance meal preparation and while I was skeptical, I really enjoy having the extra time at night to do other things instead of worrying about dinner. Do you have a sequel to this book? I want to keep introducing new recipes along with our old favorites. And, to be honest, I prefer recipes like yours that please the entire family. Too many times I try recipes that are supposed to be great and then after all of that work no one likes them! These are the exact opposite! So, let me know if you have another collection as I would love to purchase it so I have even more options in the future when I'm doing advanced meal prep! YES a sequel is definitely in the works. I am so excited about it. Do you have any suggestions on what you'd like to see/not see in it? This sounds like it could save my life this summer! I'm printing it right now! Not sure my hubby will like it all, but I'll eat what he doesn't and I'll make him his old favorite tuna and noodle casserole! June is almost over so some of the soups may be good for September. I do eat a lot of chicken breast instead of thighs. Do you think they will be ok replacements for the chicken thighs? Yes you can use breasts. They just take less time to cook. So I would decrease the cooking time by 1 1/2- 2 hours. Paid my money. How do I get the e-book? Hi Beverly, I just sent you an email! Thanks. Must purchase and make. Busy spring time ahead! This family manager needs to get ready! So true! Spring activities are getting into full swing and family dinner goes by the wayside if moms aren't planning ahead. Was a shopping list included too w purchase?? Yes, there is a grocery list! What a great idea! Can't wait to try it out.